Sandy paws, wind-blown hair and wet, salty noses—dogs love a day on a sloping shoreline. 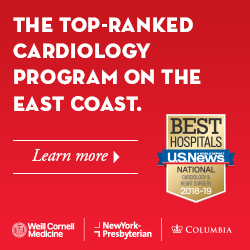 With dozens of public beaches to choose from, we have selected a few unique spots, with qualities that both you and your pet are bound to enjoy. For privacy and tranquility, it doesn’t get much better than Hog Bay Beach in Sandys. Savour a slow saunter along a wooded trail that stretches from the park entrance toward the water’s edge. Be sure to consult the tide chart as this sandy cove disappears completely at high tide. At the very eastern tip of the island in St. David’s is a picturesque spot that’s great for doggie socialising. Clearwater Beach is a popular location for pets, kids and the rest of the family, and the shaded picnic area is a great perch from which you can supervise all of the action. The unusually shallow waters at Shelly Bay in Hamilton Parish are a dream-come-true for dogs that love to wade and chase fish. The shaded park area and nearby sports field are also great for gallivanting. Although dogs are not allowed on public beaches between April 1st and October 31st, the island offers plenty of prime play spots to keep everyone occupied. For a memorable day of paw-pedalling, escape to Ferry Reach Park in St. George’s. This spacious natural area is dotted with historical landmarks, including old forts and burial monuments, waiting to be explored. Best of all is the meandering Railway Trail that is very popular with early-morning doggie runners. Admiralty House provides all the makings for an adventurous afternoon including grassy fields, secluded coves, rocky cliffs and even a dock for jumping, swimming and line fishing. There’s also a public tennis court if your furry companion enjoys a good game of “monkey in the middle.” This little slice of doggie heaven is situated in Pembroke parish. The Botanical Gardens is yet another favourite for outdoor expeditions. Located in Paget just a mile away from Hamilton, this spot offers plenty of wide-open spaces that have “Frisbee-throwing territory” written all over them. Plus, it’s popular with the locals, so your companion is bound to make a new friend or two. Last but not least is Astwood Park in Warwick, one of the most beautiful places for a sunset stroll. Acres of rolling hills are perfect for frolicking, fetching and excavating; climbers and daredevils will also enjoy investigating the unusual rock formations along the coastline. All parts of the common sago palm are poisonous to animals, especially the orange seeds. The giant toad, Bermuda’s only species of toad, is also toxic. Seek veterinary attention immediately if your dog starts frothing at the mouth after spending time outdoors. Also beware the low-lying cacti that cover rocky cliffs and beach dunes across the island. Although flowering varieties are easily spotted, smaller plants often go overlooked and are painful to tender paws. The Portuguese man-of-war is a jellyfish-like marine invertebrate that often washes ashore and becomes partially hidden under the sand. The semi-transparent gas-filled bladder, which enables it to float when in the water, may be mistaken for a plastic bag. Avoid all contact with the tentacles; they can grow up to 165-feet long and cause severe welting and blistering. The dog-eat-dog world of competitive canine training revolves around the prestigious All Breed International Championship Dog Shows held every October. Organised by the Bermuda Kennel Club, this well-attended event attracts the top bright-eyed beauties. Admission to the show is free. Prefer performance to pedigree? A series of hair-raising obedience, agility and rally trials are also held throughout the year. Think your star pup has what it takes to be the next best in show? The Dog Training Club of Bermuda offers a variety of classes in obedience and agility to first-timers. You are also invited to spectate or chat with instructors to learn more about what it takes to be top dog. You can also register for group lessons in ringcraft taught by the Bermuda Kennel Club Show Committee. The mobile grooming craze is sweeping the island as never before. Over the last several years, pet owners have seen an explosion in the number of new and exciting boutiques that have made it easier than ever to keep your dog trimmed and cool during hot summer months. A shiny, streamlined and sweet-smelling coat is just a phone call away. Depending on the company, you’ll be able to choose from a long list of pampering, primping and pruning services. For the royal treatment we love the warm bath, fresh breath and teeth cleaning options providing by Dog Gone Good (735-2581). Each post-treatment doggie is rewarded with a complimentary spritz of cologne and a collar bow. Adorable! Also popular among pooches is Bermuda K9 Bath Time (333-0518). Beautify from head to tail with one of their deluxe grooming packages—warm bath and blow dry included. A basic clipping service is also available to keep those nails in check. There’s nothing more relaxing than having your pet groomed in the comfort of his or her own home. However, if you and your doggie are up for a drive, there are plenty of resident salons that offer full spa experiences in a welcoming, stress-free environment. The ultimate grooming package at Love Your Poochie (777-8124) is well worth the trip; it includes not only a free consultation but a signature blueberry facial too! We can also recommend Pampered Pets (705-4466 and 705-3366) for their convenient locations in Wellbottom and the Pic-A-Pet store in Hamilton. Their patient and experienced staff will have your pert princess or manly stud strutting in style in no time. This summer season, say goodbye to ugly doggie carriers and hello to the latest trend in designer accessories. The hot-selling Dogs of Glamour satchels at Paws & Claws (234-4474) take outings to a whole new level. These bling-studded, faux leather totes are totally fashionable; plus they have lots of pockets to stuff full of treats and hair bows! Hot temperatures also mean that air conditioners will be working overtime. Bundle up your pet with a knitted onesie or fleece-lined plaid vest; doggie outfits are also a must-have for windy boating excursions and trips to the beach. Swing by Pic-A-Pet (292-4554) in Hamilton to browse their wide selection of cute clothing and seasonal costumes for smaller dogs. For the ultimate in over-the-top, check out the cute collection of Color Paw nail polishes sold by Noah’s Ark Feed & Supply (236-1533). This pet-lover’s superstore also stocks the clippers and files you’ll need to give your lucky dog a full “pawdicure”. r accessories, neckties, tutus and, yes, even sparkly angel wings. After working all day, it’s tough to remember to hit the road, path or park for an hour of quality leash time. That’s why pet owners from east to west are enlisting the aid of mobile daycare businesses to help their critters stay active and social. These professional dog walkers organise, transport and oversee playgroups for up to 12 dogs at a time. New additions are always prescreened to ensure that they will get along with the rest of the pack. Since opening in the summer of 2013, Dog Gone Good (735-2581) has earned a reputation for safe and energetic play sessions. Animals are taken to secure areas on private property to give them the opportunity to romp off-leash. Rest assured that your best bud will come home all tuckered out! Active doggies also dig DogPlay (300-4508) and Pet Palooza (334-9637). Both specialise in group walking and supervised daycare services to help stave off boredom during long work days. Though it hurts to say goodbye, we can’t always bring our faithful sidekicks with us when we travel. Thankfully there are many capable pet-sitters who offer dependable daily feeding, in-house boarding and unbeatable peace of mind. Dog owners love Bermuda Pet Sitters (400- 7387), a passionate, paw-centric business that provides half-day, full-day and extended daycare services in a no-cage environment. They can also arrange in-house boarding, play-pack outings and transportation to the vet. Passion Paw Paws (747-7297) provides loving care, hugs and even live video streaming from your home. Their unique webcam service enables you to watch your pet from your computer while you’re away. How neat is that? If you’re in the process of relocating to the island, @Home Critter Care (www.athomecrittercarebermuda.com) can collect your pet from the airport and delivery him or her right to your house. They also provide pet-sitters to feed, bathe and walk your furry friend. As outlined in the Dogs Act of 2008, the Department of Environmental Protection imposes strict regulations on the registration of all canines as well as the importation and rearing of certain breeds. Owners must obtain an annual license and apply for a special permit to keep more than two dogs. The act also outlines the standard of care that is to be upheld in order to ensure that our small island is safe for both two- and four-legged inhabitants. 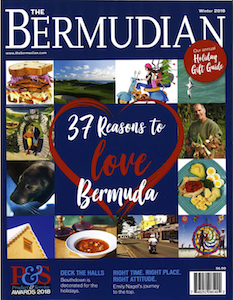 In addition, the Bermuda government limits canine access to crowded areas during certain months of the year; dogs are not allowed on public beaches between April 1st and October 31st. Dogs must also be kept leashed at all times. For more information on policies and permits call Veterinary Services and Animal Control at 236-4201. Visit their website at www.animals.gov.bm to download applications and read official canine legislation. 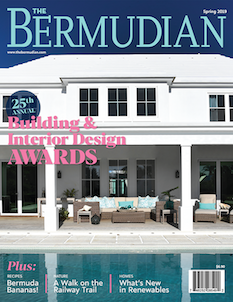 Bermuda welcomes well-behaved pooches—and trust us—your pooch will love Bermuda! Unfortunately, travelling with your trusty companion is more than just a matter of buying him or her an airline ticket. All dogs must visit a veterinarian within 10 days of intended arrival in order to verify their health and vaccinations. In addition to being physically fit, dogs must be at least 10 months old and be implanted with a microchip. Once a vet has signed off, you will be eligible to obtain an official import permit to accompany your pet during the trip. For more information and to download a permit application, visit www.animals.gov.bm. Also be sure to check with the airlines for size limitations and associated pet fees. As a general rule of thumb, whether or not your dog will be allowed to ride along with you in a taxi is at the discretion of the driver. Although most cabs are pet friendly, it’s safest to call first and request that a note be added to your reservation. Remember: drivers always prefer clean and dry over sandy and wet! 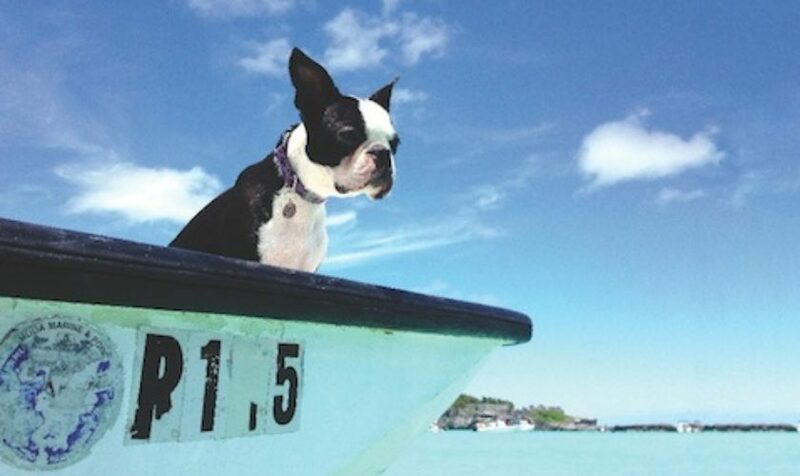 The Bermuda ferry service is another convenient way to travel with your dog. Four-legged companions must be leashed and under control at all times. Additionally, they are not allowed in the cabin area.